You got the juice now, Carson. The Philadelphia Eagles have trimmed their roster down 53 players, which of course doesn't mean that the following 53 will be on the team Week 1 of the season. Here's our analysis of who made the team. The shocking trade of Sam Bradford this morning leaves the Eagles with just two quarterbacks on the roster. To be determined if the Eagles will try to add a third quarterback. 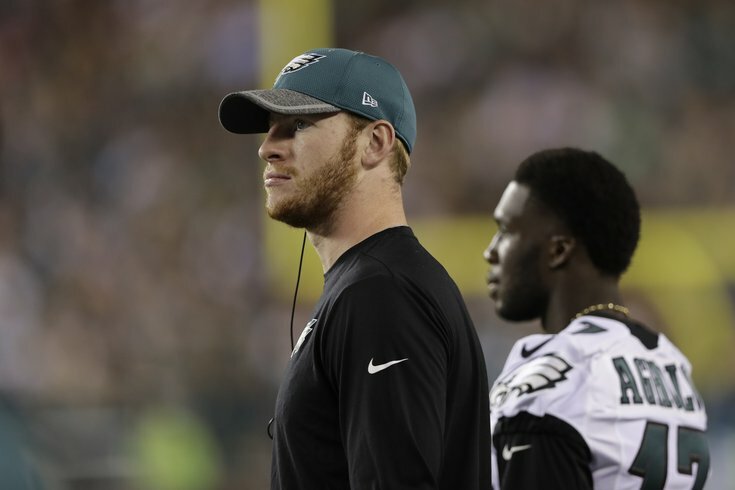 Early word is that Carson Wentz will start as soon as he's healthy, which should be Week 1. This was exactly as expected. The first four receivers were locks. The only player here who was questionable to make the roster was Turner, who earned his way on as an undrafted free agent after having a great training camp and preseason. Chris Pantale did not make the cut after all. The Eagles were forced to use a roster spot on Lane Johnson, as he has not yet been suspended. Undrafted free agent Dillon Gordon made the cut, as did perennial back-of-the-roster player Josh Andrews, as the Eagles went heavy on the offensive line. The Eagles also went heavy on the defensive line, keeping 11 players, if you consider Bryan Braman a defensive end, that is. Marcus Smith survives another year, and undrafted rookie Destiny Vaeao stuck as well. The biggest surprise, aside from the Sam Bradford trade, was Najee Goode not making the 53-man roster. He may be added after Week 1. The Eagles have two North Dakota State alums on their roster now, as C.J. Smith came on strong at the end of camp and in the preseason games. As expected, Sturgis won the kicker competition over Cody Parkey.